Alexandria Ochio-Cortez speaks in context of 'global climate change'. Ocasio-Cortez added: "The world is about to end in 12 years if we don't deal with climate change, and your biggest issue is how we gonna pay for it?" She said that the fight against climate change is "war" and that "this is our Second World War." 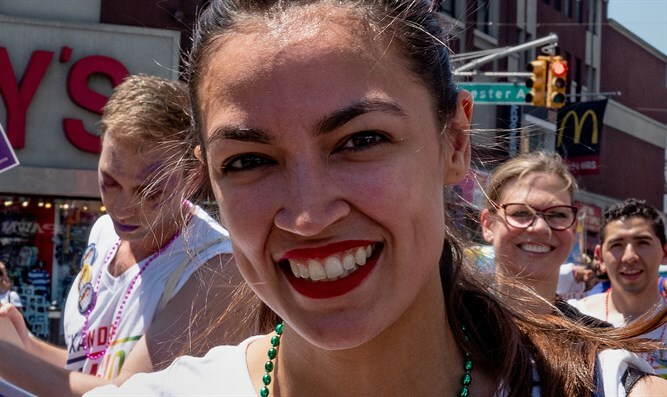 Ocasio-Cortez is the youngest congresswoman and has become a figure frequently dealt with by the media, partly because of her extreme views and amusing mistakes that sometimes fall in her words. She defines herself as a radical socialist.